In the past, District 2 was one of the poorest parts of Ho Chi Minh City due to the separation by the Saigon River from the city centre. However, it is now one of the prioritized area for investment by the government and is lined up to be the new city centre for Ho Chi Minh City.Thanh Nien and Tuoi Tre, the two biggest newspapers in Vietnam, once described that the District 2 would be as modern as Singapore and Hong Kong. 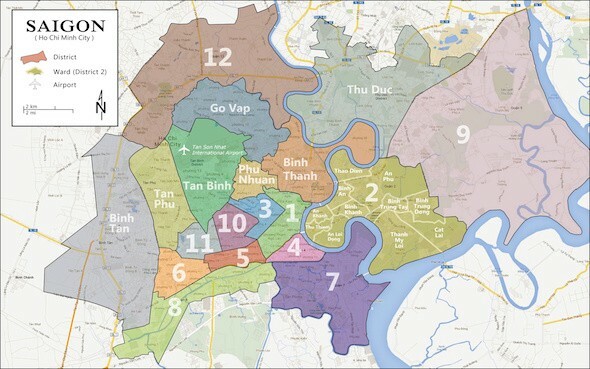 It is the development in transportation system that allows District 2 to have easy connection to other important districts of Ho Chi Minh City as well as to other provinces. The completion of 6-lane Thu Thiem Bridge 1 (2008) and Saigon Bridge 2 (2013) connects District 2 with Binh Thanh District, where there is Mien Dong bus station — the biggest and busiest terminals with buses to 178 destinations scattering all over the country plus 2 in Laos. 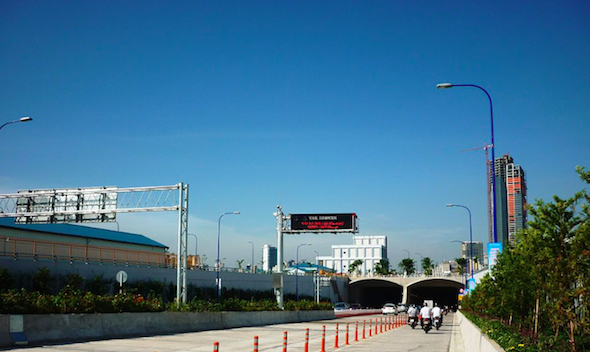 Thu Thiem Tunnel (2011) and Thu Thiem Bridge 2 (due for completion in 2018) joins District 2 with District 1, the financial and commercial hub of Ho Chi Minh City. Besides, the transportation to District 2 will become much more easier when the metro, whose route passes through District 2, comes into use. This will be the first metro in Vietnam, and it will help Ho Chi Minh City to catch up with other developed cities in the world. 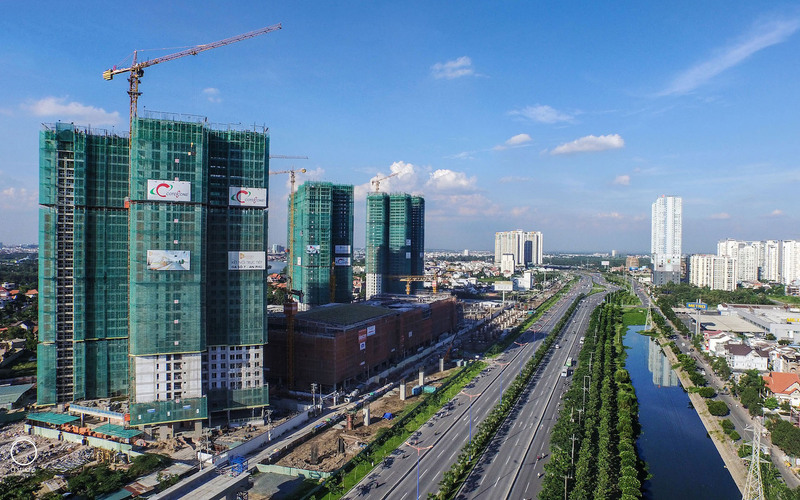 The first phase of the Ho Chi Minh City Metro train network – Line 1 (scheduled to be completed between 2018–2020), will connect the Thao Dien, An Phu area with District 1 (Ben Thanh, Opera House, Ba Son Shipyard). Map of Metro Line 1 (Wikipedia). 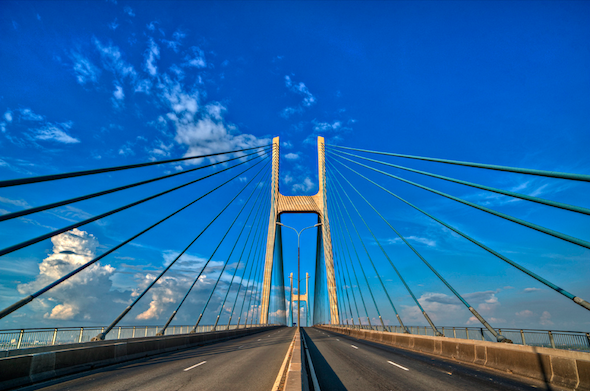 Phu My Bridge is the first cable-stayed bridge constructed in Ho Chi Minh City, Vietnam. 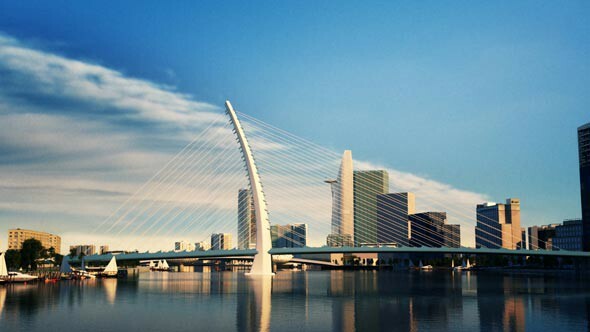 At 2km-long, the bridge crosses the Saigon River, connects Districts 2 with District 7 — an urban district mainly targeted to high earner Vietnamese and expatriates community. Tan Son Nhat International Airport is currently the only international airport in the planned Ho Chi Minh City Metropolitan Area. The airport was built during the Vietnam War to support war transportation, hence its location inside the crowded Saigon where growth is limited. Due to location and safety issues, it is difficult to expand to meet the increasing annual growth of passengers. A rendering of Long Thanh Airport in the southern province of Dong Nai. 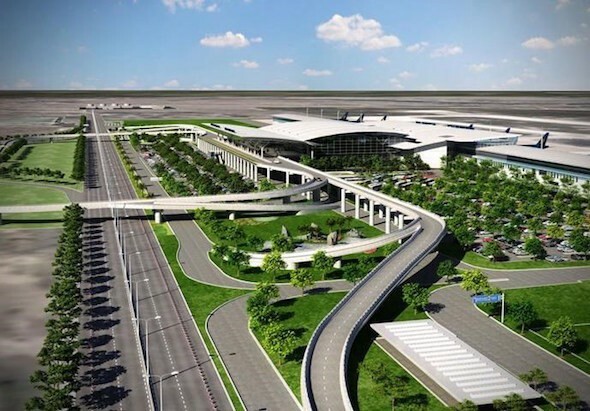 Therefore Tan Son Nhat airport will serve the international and domestic flights until the completion of the new Long Thanh International Airport (in Dong Nai province). With an initial investment of approximately USD6.75 billion, the first phase is scheduled for completion in 2025 (*) with capacity to handle 25 million passengers and accommodate A380 aircrafts. From District 2, it would take approximately 36 minutes (32.7 km) to reach the new airport by car. Note: Thanks to the prompt feedbacks from readers, we have been able to update the expected completion date of Phase 1 from 2020 to 2025. With a superb city location, District 2 is now one of the top choices for property investment as well as apartment renting. Mega development projects under progress such as Gateway Thao Dien, Matsuri Thao Dien and The Estella Heights will totally change District 2’s character and appearance in the next few years.